Education spending is now skewed towards the poorest pupils in the country because they are staying longer at school, according to an independent report published yesterday. The Institute of Fiscal Studies (IFS) found that, while richer children had historically received more overall funding as they were more likely to attend 16-18 education, this gap has now almost entirely vanished. 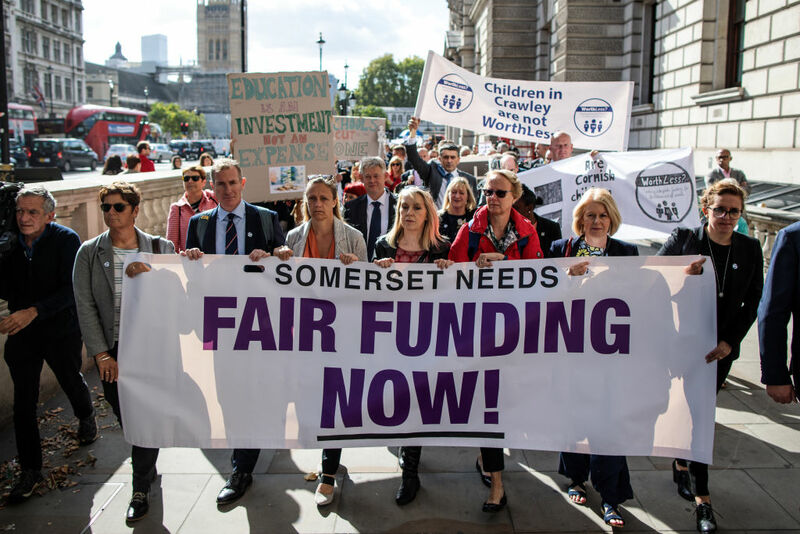 Due to higher participation in post-GCSE education and reforms in funding, such as the coalition government’s Pupil Premium Fund, the poorest children in the country now receive a £9500 funding advantage over the richest. Mr Dunne told talkRADIO's Julia Hartley-Brewer that he welcomed the news that more pupils were staying in full-time education. Mr Dunne also said it was important for people to remember that education funding had been “seriously, seriously diminished” since 2010. “But only three or four months ago the IFS made the devastating case that funding has fallen by 8% since 2010 overall," he said. Almost 2000 headteachers marched on Downing Street to protest the fall in real-terms education funding revealed by the IFS in September.